This bathing platform is located next to the street, and is made with bricks laid flat. A small drain running along one side of the bathing floor channels dirty water out to the street. A brick on edge with a notch was placed across the drain hole to keep objects from flowing out with the bath water. 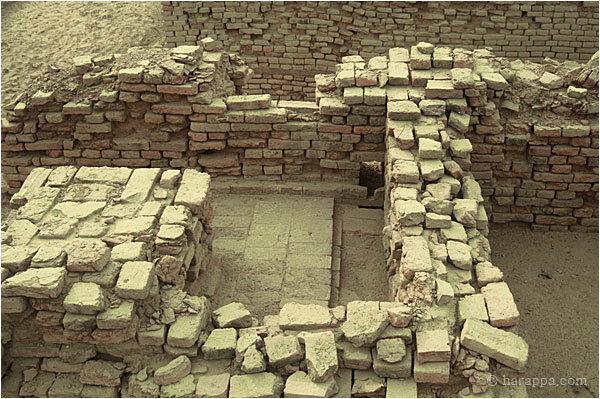 It is possible that such bathing floors were also used to wash clothes that may have washed out with the rinse water.